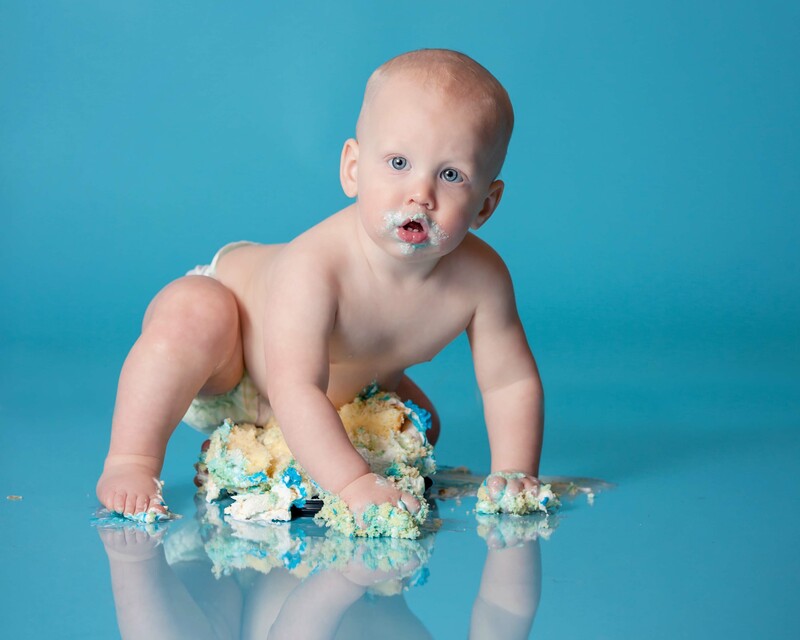 I have wanted to photograph a 1st birthday cake smash for some time now. I have seen some really great photos, and knew I wanted to capture that milestone for someone. I’m sad I never did this for my own children. 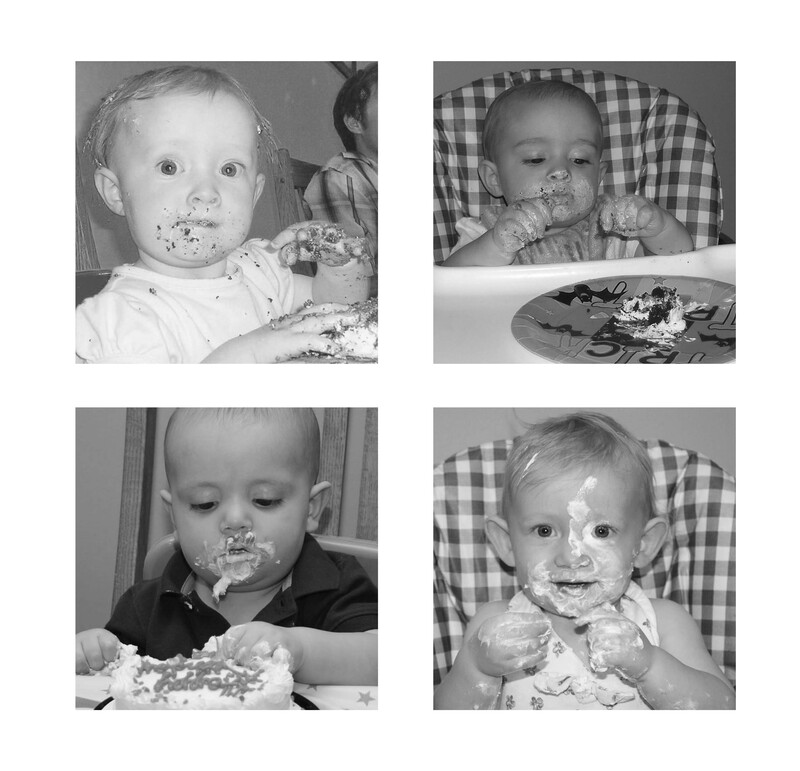 Knowing how much fun they had at their first birthday parties, they would have had a blast. Their very own cake to dig into, without the distraction of countless people looking on, would have been even more enjoyable. When my sister-in-law called and said she wanted some pictures of her son for his first birthday, I knew this was my chance. Without hesitation, she said sure and we began our planning. I purchased a backdrop that included streamers and entertained the thought of blowing up some balloons. However, I decided to keep it simple and went with a plain blue backdrop. The backdrop became the flooring as well. I knew I wanted to create a reflective surface, but wasn’t sure how to do it. I did a little research on-line and the majority of photographers seemed to like the plexiglass. So, we headed to Menards and purchased a 4 ft x 8 ft sheet. I was a little surprised by the price, $98. It was no where near the deal that I got on my whiteboard. Though it was a bit pricey, it created the look I wanted, perfectly! 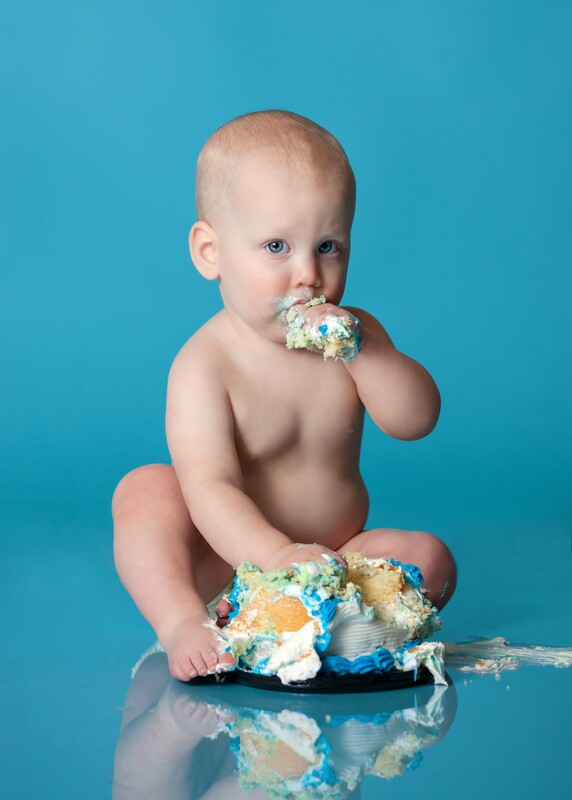 As you can see, my nephew wasted no time diving into his very first birthday cake. 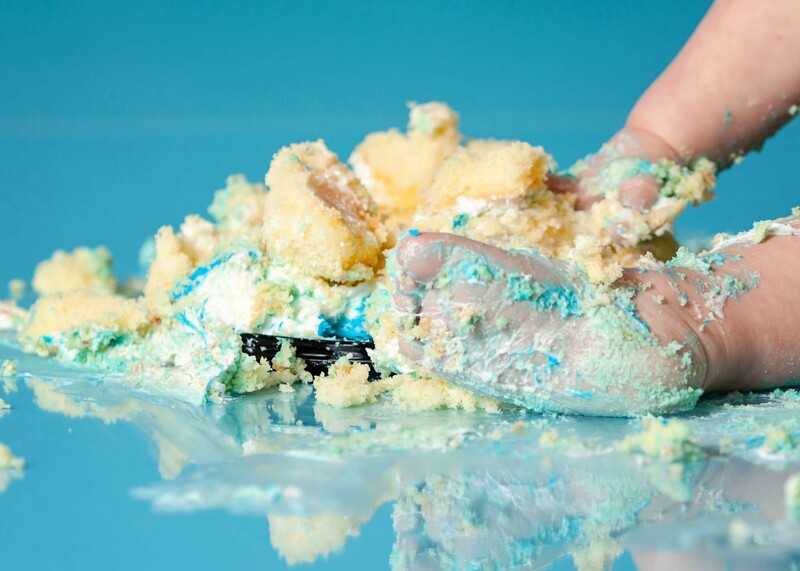 He was a big fan of its taste, but could have gone without the unpleasant feeling of the frosting between his fingers and toes. 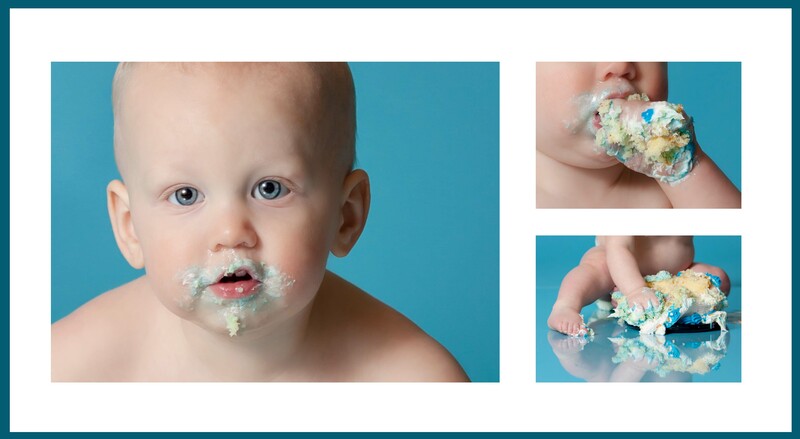 I had so much fun photographing my first cake smash and thrilled that it was my nephew. He did an amazing job and I know his mom was pretty happy with the final product.